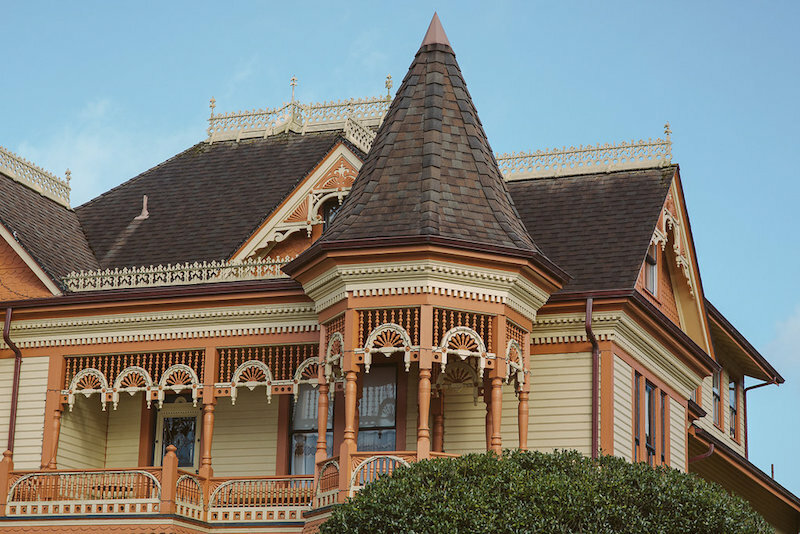 Rekindle the magic of Christmas with old-fashioned fun and small-town cheer in the Victorian Village of Ferndale, California. From ice skating at the Humboldt County Fairgrounds to the lighting of America’s tallest living Christmas tree, from festive holiday shopping on Main Street to strolls past historic homes aglow in holiday splendor, Ferndale has all the qualities of the quintessential Christmas town. Revel in holiday magic at the lighting of Ferndale's spectacular living Christmas tree, the tallest in America! Decked out in colored lights by the volunteer fire department, the radiant spruce at the end of Main is visible for miles, a beacon to herald the Christmas season. 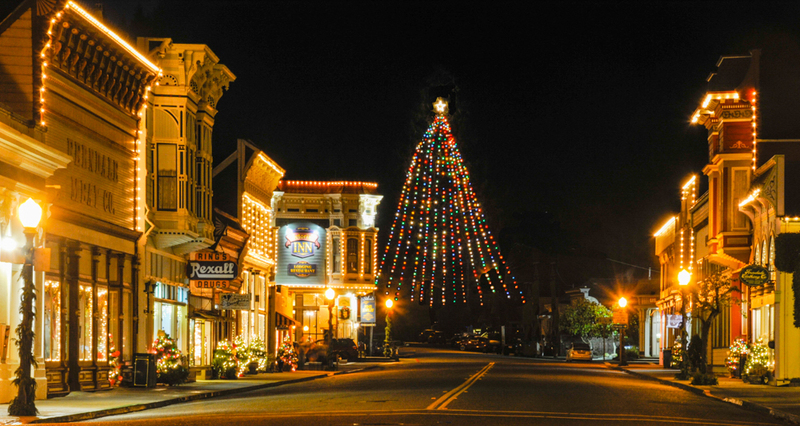 Experience small-town Americana at its best as the whole town turns out for the annual tree lighting and celebrates afterward with free cocoa and homemade cookies of all kinds, a tradition since 1934. Arrive early for ice skating, shopping and the annual Portuguese Linguica & Beans Dinner. Celebrate the season with nostalgic winter fun at the Humboldt Ice Rink, now located in Ferndale at the Humboldt County Fairgrounds’ Belotti Hall! It’s the perfect all-ages family outing; make sure to swing by historic Main Street while you’re here for an obligatory hot cocoa and some holiday shopping! You’ll find something for everyone on your list in Ferndale this season. Holiday shopping kicks off in November with handmade and vintage goods at Fig Twig Holiday Market, followed by Hospitality Night holiday open house, where Main Street merchants stay open late serving up goodies & good cheer. In December, Victorian Holidays arrive! Enjoy a festive atmosphere of holiday shopping, dining, live music, and themed costumes & activities as businesses stay open until 9pm Fridays until Christmas. 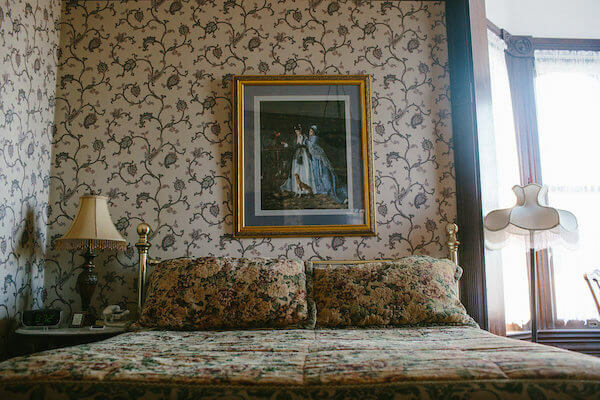 Start planning your holiday getaway to Ferndale today with a stay in one of our historic lodging accommodations, ranging from grand historic inns to quaint Airbnbs. From beloved annual events to holiday plays and concerts, there’s something happening every week in the Victorian Village this season.